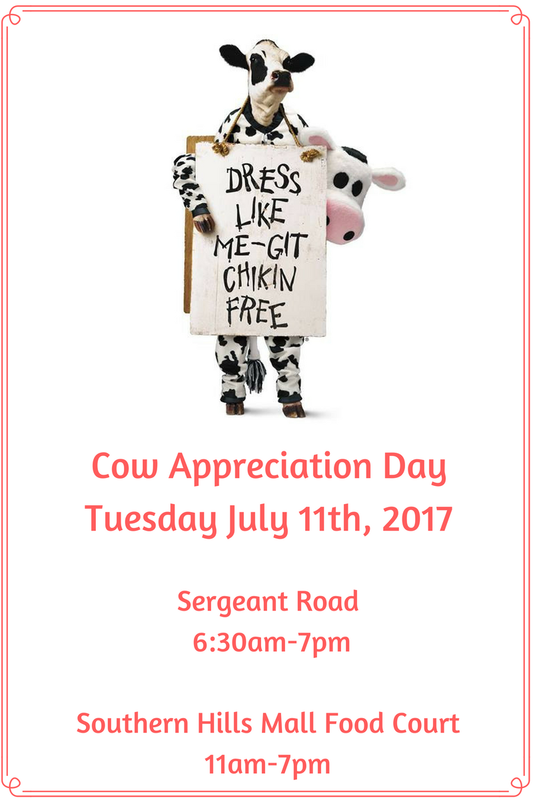 Tuesday July 11th is Cow Appreciation Day at Chick-Fil-A restaurants around the nation, and both Sioux City locations are participating! Here are the details on how you can get free chicken! Free chicken for anyone dressed like a cow! I have also heard from the Chick-Fil-A on Sergeant Road that instead of carnival games on the patio, this year they will be having giveaways throughout the day for prizes like Chick-Fil-A umbrellas, mini-coolers, and even giftcards for Chick-Fil-A party trays! For the latest details, you can find the Facebook event for Cow Appreciation Day 2017 at Sergeant Road Chick-Fil-A here. Your costume can be as simple or as complicated as you'd like. One option is obviously to buy something cowprint. A hat, headband, bandana, or socks could be a cute option to look for that wouldn't end up being too expensive. And the other choice is to DIY! Painting cow spots on white clothes and accessories with fabric paint is a fun and easy option. Another solution my family has used in the past is to cut black cow spots out of felt and tape them with masking tape to white t-shirts that currently fit us and pair them with black shorts and black felt cow tails (a rectangular strip of felt about 2" wide by however long you'd like it, and cut fringes into the end that will be sticking out of your shorts-tape or pin it to your tag to make it stay!) We have also added black and pink felt cow ears to black or white hats or headbands for easy cow headwear! There used to be free printable templates on the Chick-Fil-A website, but the site doesn't seem to have them this year. Basically though you want a black oval that is taller than it is wide, with a slightly smaller pink oval inside. Remember though that it is all about fun and enjoying being silly with your family--don't worry about perfection! Whatever you wear, you will be making fun memories with your kids. 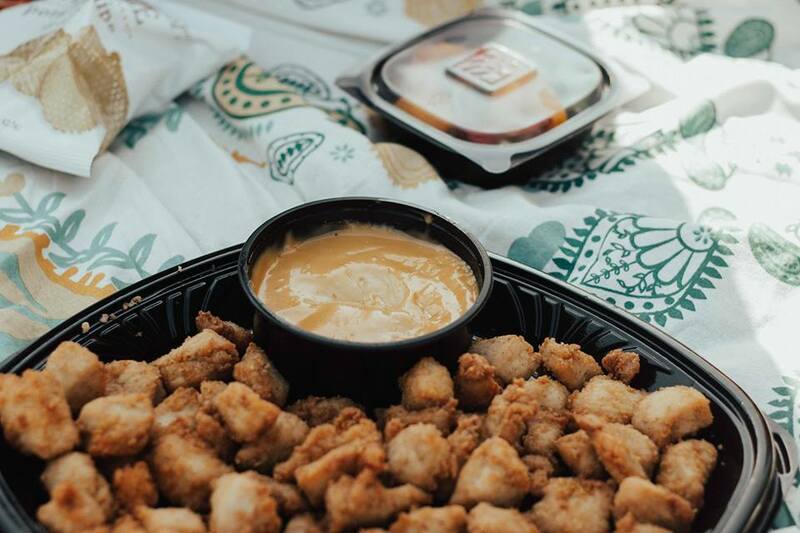 So put on that cow print and go EAT MOR CHIKIN!